Torrential rains and flash floods have killed at least four people and carried away homes, cars, chunks of roads and bridges in Cap Bon, a peninsula in north-eastern Tunisia. 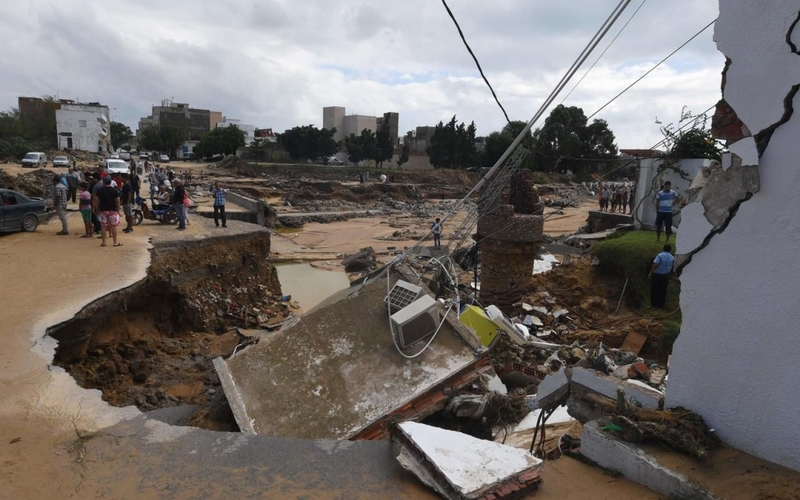 Tunisia’s National Institute of Meteorology said the storm dumped 200 mm of rain on Nabeul and up to 225 mm in the city of Beni Khalled, in the peninsula’s center. The Tunisian Interior Ministry said the death toll climbed to five after a teenager was electrocuted Sunday in Bou Argoub, 45 km southeast of Tunis. Tunisian authorities said they had dispatched police, army and rescue teams to the region, mobilizing ambulances and two helicopters over the weekend. People angry about the situation demonstrated in Cape Bon. Prime Minister Chahed who visited the affected areas to meet survivors, has called for calm as excavators and pumps were put into action. According to press reports, the sun was out on Sunday, although the region’s telephone networks were still largely out of service. The fourth Arab country to have published its Intended Nationally Determined Contributions (INDC) for a reduction in greenhouse gas emissions, Tunisia has put climate change on the top of its political and economic agenda in recent years. Posted by Khalid Al Mouahidi on September 24, 2018. Filed under News. You can follow any responses to this entry through the RSS 2.0. Both comments and pings are currently closed.